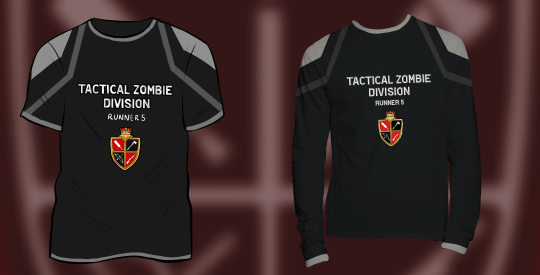 Final Spring 2018 Virtual Race Shirts – Zombies, Run! We have a very limited number of Spring 2018 shirts available in the ZR Shop! Whether you missed out on the action-packed Virtual Race, or you just need a Royal Guard t-shirt in your fitness wardrobe, now’s your last chance. Available in both long sleeve and short sleeve variants, with only women’s fits left, get yours while stocks last! Previous Post Welcome to Tomorrow Island – and our Halloween Virtual Race!